A while ago I wrote about some of my favorite burger places in Paris, one of which was Blend. Having not been there in quite some time, I was happy when I found myself not far from their rue d’Argout location at lunchtime on Saturday afternoon. The restaurant is small, and always draws a crowd, so don’t be surprised if you’re greeted with a wait. Luckily, food comes out fast, so people get in and out rather quickly. The atmosphere is relaxed, but the quality of the burgers is from it. Fresh baked brioche style rolls are topped with juicy beef patties, garnishes and sauces. The icing on the cake here? The sweet potato fries. It’s the only place I’ve found in Paris to get those delicious little guys. *List of additional locations available on the official Blend website. On several occasions, I have walked past the Hôtel Plaza Athénée, but never had the chance to stop in. Located on one of Paris’ most fabulous shopping streets, Avenue Montaigne, this palace was just begging for a visit. As an (extremely) belated Valentine’s Day date, my husband and I made a reservation for brunch at the hotel’s recently refurbished restaurant, Alain Ducasse au Plaza Athénée. On Saturday afternoon we arrived for what would be one of our most memorable dining experiences to date. Upon entering the glittering room, we were given our choice of international newspapers, a small, yet appreciated touch. Once seated, we began a culinary journey unlike any other. Our “Haute Couture Brunch” commenced with a choice of hot beverages and fresh fruit juices accompanied by an abundant pastry platter. A variety of baguettes were then brought out, served with a selection of jams and Chef Alain Ducasse’s homemade chocolate hazelnut spread. Although we were already filling up quite quickly, it was only the beginning of our luxurious meal. Next came tiny glass pots of yogurt and perfectly arranged tropical fruit plates. Then arrived a surprising amuse-bouche, a spicy fennel purée. Next on the menu, was a choice between two copious entrées. I tasted thin slices of Brittany artichoke and black truffle, and my husband sampled the sea bass carpaccio. At this point, we had just about reached our eating capacity, but it was time for eggs and we continued onward. I stayed classic with benedict, but my husband was more adventurous, choosing the daily special - scrambled with black truffles. As we finished our plates, the cheese course arrived - comté, emmental and a rather pungent camembert. Unbelievably, the XXL meal did not end there. An enviable spread of desserts appeared, including various verrines, dark chocolate, a caramel religieuse and pain perdu in a tiny pan. If that weren’t enough (which it certainly was! ), we finished off with a bit of bubbly, some of the finest I have ever been served. The food was the star of the show, but we cannot forget the staff. At Plaza Athénée service is a true art form, much like a graceful ballet. Each fine detail appears effortless, but one recognizes that an incredible amount of preparation goes on behind the scenes. Being a guest here, even if only for a few hours, was truly unforgettable. With it being Fashion Week, Paris is certainly abuzz. Walking down the rue de Rivoli, there seems to be an endless parade of models and other fabulously and outrageously dressed designers and hopefuls. Yesterday, as the city enjoyed unseasonably warm weather, the Fashion Week crowd and everyone else were out and about in full force. Having gotten our fill of the busy rush, my husband and I slipped off the street to find a little piece of tranquility. Steps away from Place Vendôme, The Westin hotel has transformed their courtyard into a covered terrace for winter. The "Terrasse d'Hiver" is a nod to their sister hotel in Mauritius, and features tropical drinks, décor, music and heat. In the afternoon, guests enjoy exotic teas and pastries. When the sun goes down, it's about fruity cocktails and island beats from hip DJs. Looking for an escape of your own? The Terrasse d'Hiver is open until the end of March. I’m always on the lookout for the latest beauty, fashion and lifestyle products. I've found that one of the best ways to get your hands on some of the next big things is through monthly box subscriptions. 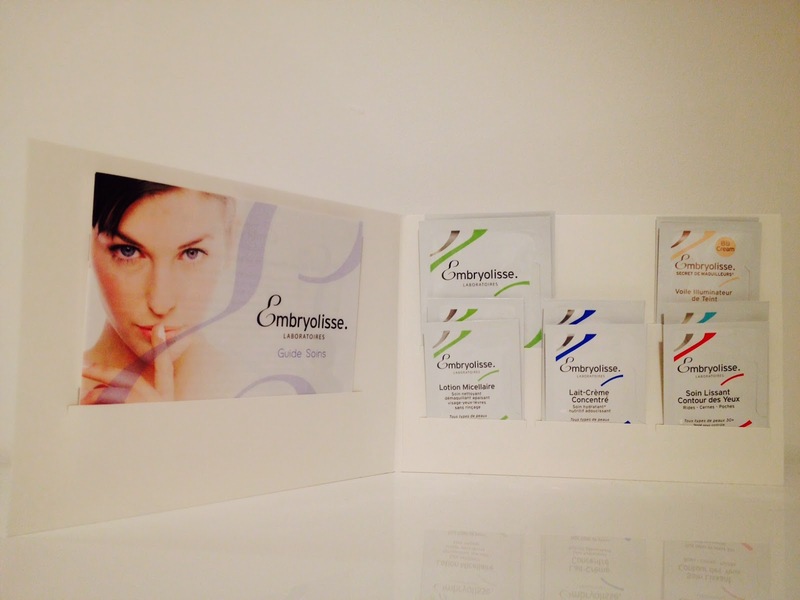 In the past, I’ve signed up for My Little Box and Gambettes Box, both from the hit site My Little Paris. More recently though, I decided to test out Emma & Chloé. For 19€ (+ S&H), Emma & Chloé sends you a carefully selected piece of jewelry from an up-and-coming designer. But here's what sets it apart from other similar boxes....creators are 100% French! Each original piece comes packaged in a chic black box, along with a storage pouch, mini lifestyle magazine and certificate of authenticity. The verdict on this one? It’s an awesome way to add something fresh to your accessory collection, while discovering and supporting new French talent. In part 2 of my interview with American expat and entrepreneur Andrew Lyons, we get an inside look at his Paris-based venture, Cyclo-Café. Cyclo-Café is the abstract product of my life’s jumbled adventures. It is my ‘labor of love’ for the beautiful city of Paris. It is also my vision, my hope, for what Paris becomes in the near future: a happier, more energetic, friendly and smiling place in which we share. Cyclo-Café is the newest, most innovative, most fun and 100% ecological way to experience Paris. It is best positioned for the local community, French or expats, of all ages and importantly including and welcoming persons with disabilities. It’s a great way to experience positive, community togetherness, in the world’s most beautiful, historic city…Paris! On Cyclo-Café you will be amongst the authentic sights, sounds and tastes of French culture. Aboard, you will not ‘visit’ Paris, rather, we will ‘live’ Paris together. What is the most challenging part of being an entrepreneur in France? The most rewarding? By far, the most difficult part of becoming an entrepreneur in Paris is navigating the administration. This problem is compounded as a foreigner. 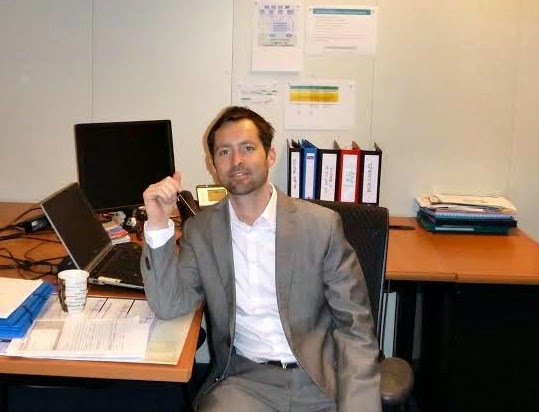 Although I did succeed in attaining my French citizenship in 2012 (which I am very proud of), it takes a lifetime of learning to efficiently and effectively create and achieve your career goals in Paris. Even those born in bred in France proclaim their trials and tribulations with administration. Maybe after 100 years you will master the ‘tricks of the trade’ here! The most rewarding, has been to see Cyclo-Café on the ground in Paris. The perplexed, curious and smiling faces of young and old alike have affirmed that we have truly brought something special to Paris. 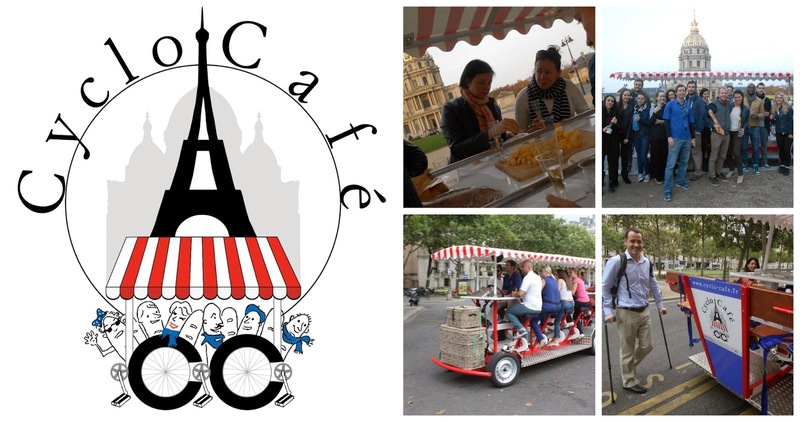 How did you succeed in bringing Cyclo-Café to Paris? The key to bringing Cyclo-Café to Paris was surrounding myself with energetic, creative and talented people. Without a great team, anyone is susceptible to being overwhelmed. My fellow American, successful international entrepreneur and trusted Cyclo confidant, Dan Lavelle, has been instrumental in laying out the detailed ground work and forward thinking strategy. Dan, through his business Eyes On Email created the perfect website and manages crucial social media, imperative to any small business. Both Dan and I have a few ‘screws loose’, so it has made for a great match. And how to bring the ‘French touch’ to a business in Paris? Cyclo-Café is not about America. As such we required the design, communication and public relation skills that only Johanne Goll could bring. Johanne, a native from Toulouse has integrated the right marketing and promotional mix to make Cyclo-Café a Parisian staple. I am also proud to admit that my mother was the artistic genius behind our trademark logo. We are all working together to motivate each other and strive to improve Cyclo-Café’s offering and experience for everyone. What's in store for Cyclo-Café in 2015? Cyclo-Cafe, Paris first entered the imagination in 2012. After 2 years of figuring out the many obstacles, re-designs and project modifications, we launched Cyclo-Cafe in 2014. We only had a couple short months to work with in 2014, as a 'trial' period. We are excited by all the positive feedback and encouragement we have received. In 2015, we see many bright opportunities to serve the Parisian community, as well as a few challenges. This is the 'love story' that invigorates any entrepreneur and new business. Cyclo-Cafe would like to attract family or friends, group get togethers, birthdays as well as company team buildings. Cyclo-Cafe aims to promote local businesses and associations. We are now accepting 2015 reservations and would love to hear from you at fun@cyclo-cafe.fr. This year, we have a full spring/ summer season to work with, anything is possible. The only guarantee, you will have the most fun and unique experience you have ever had in Paris! Interested in learning more about Cyclo-Café or taking a spin around Paris?